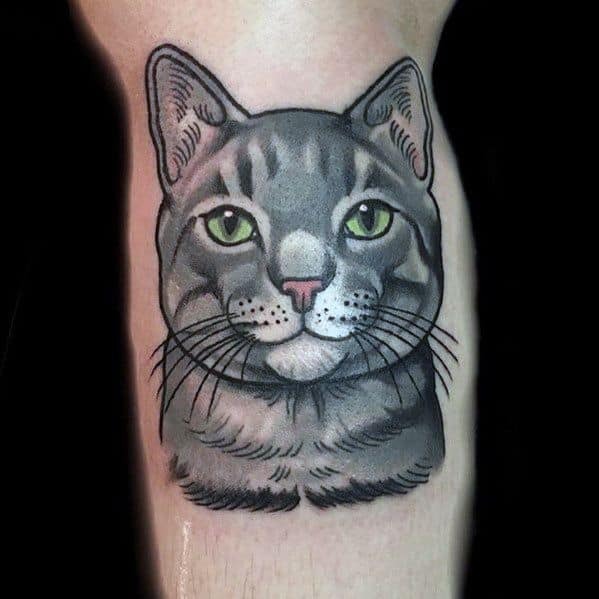 Love them or hate them, there’s no middle ground where cats are concerned. 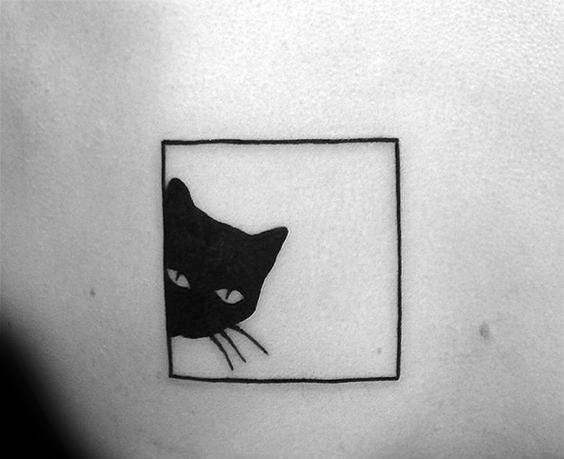 Aloof and independent, at turns icy and warmly affectionate, there’s no figuring out the feline mind, which makes it all the more alluring. 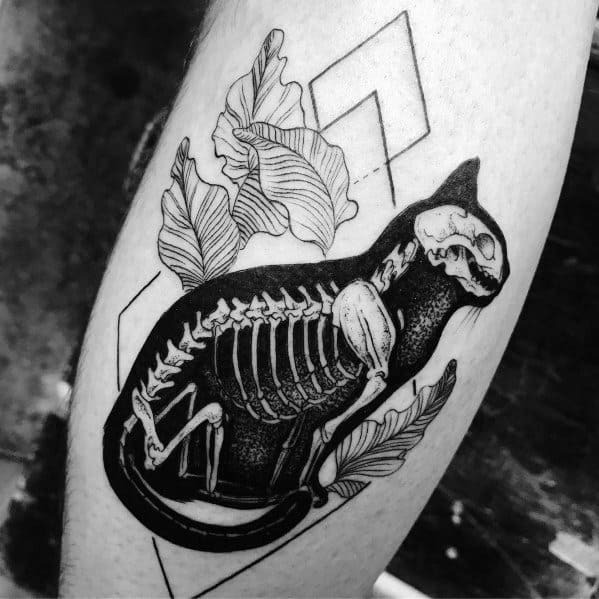 Humans have been enjoying the company of their feline companions for thousands of years, with evidence seen everywhere from the inky paw prints in Da Vinci’s notebooks to ancient Egyptian tombs. 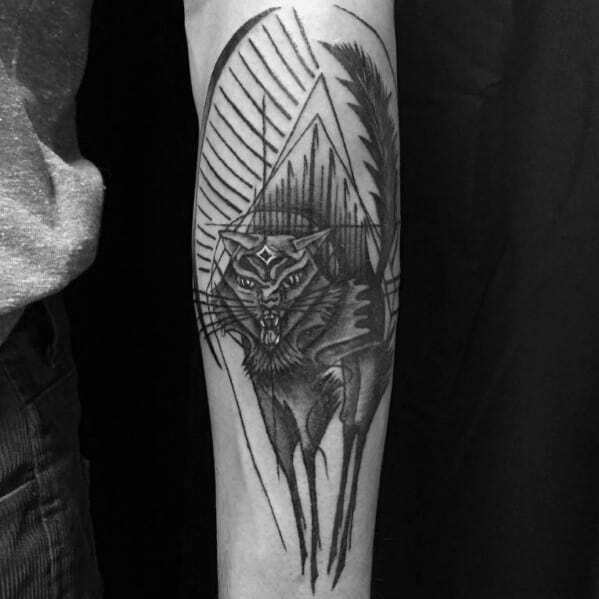 A symbol of higher power and primitive grace, the cat as we know it today carries a long and rich iconography. 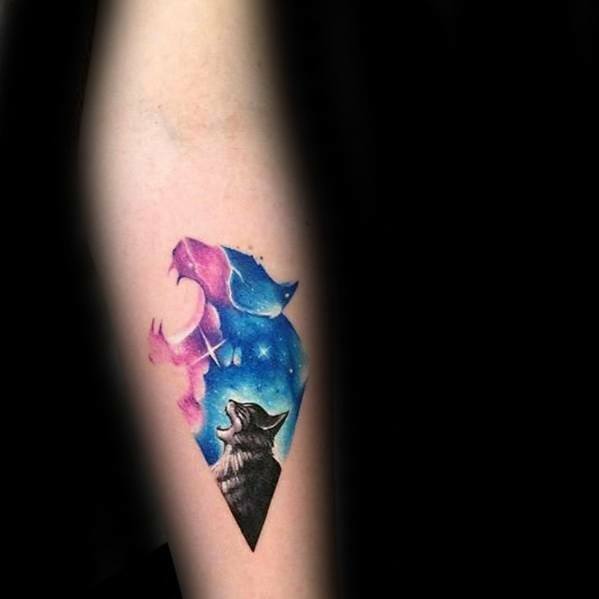 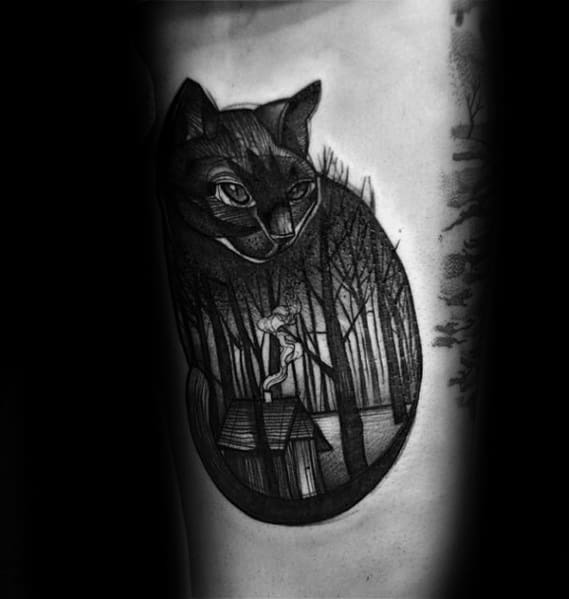 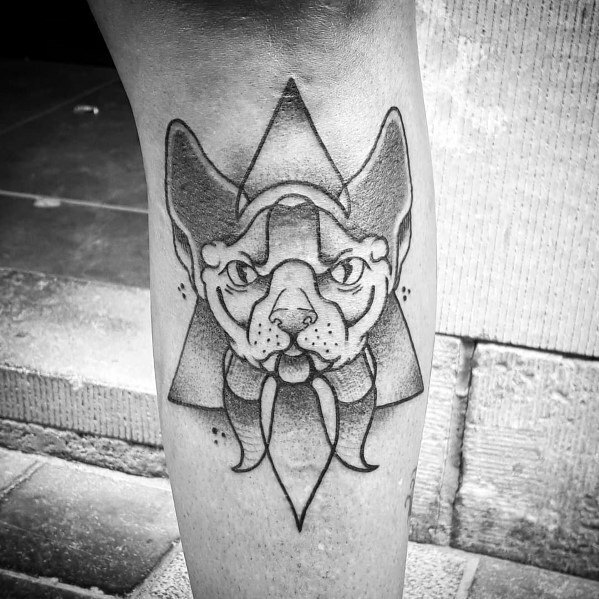 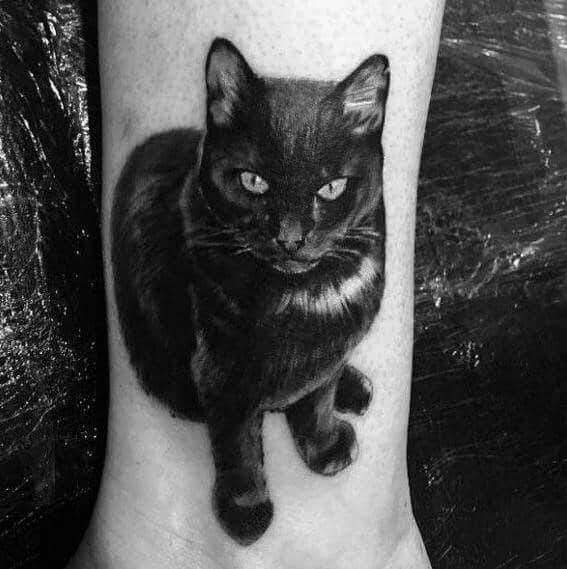 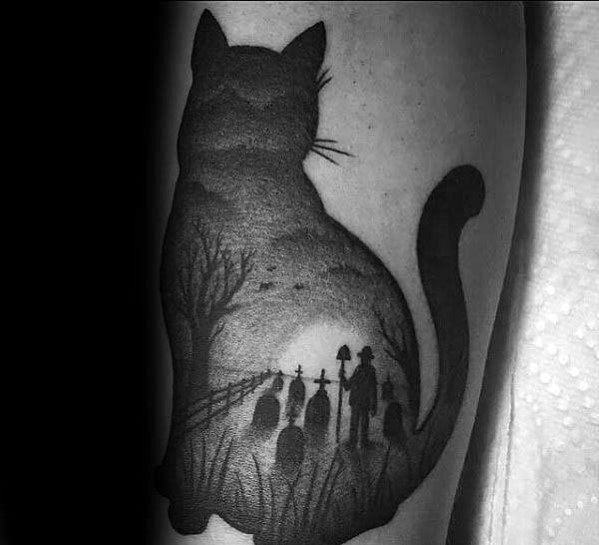 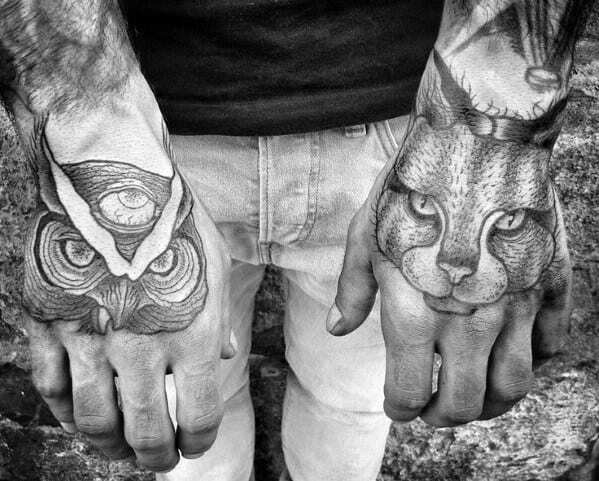 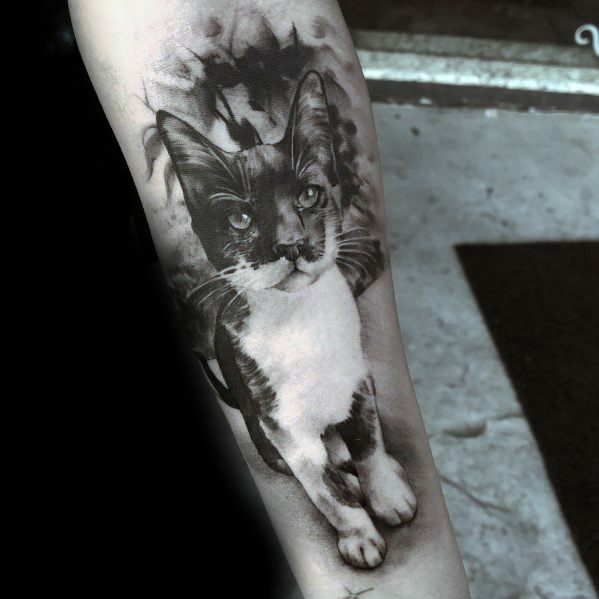 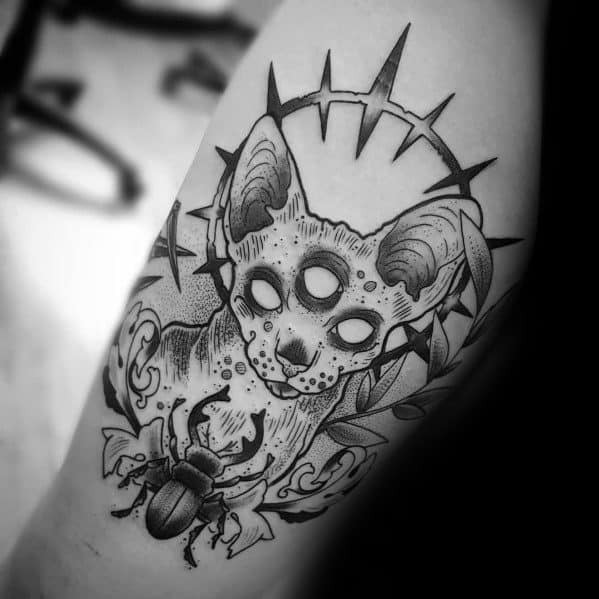 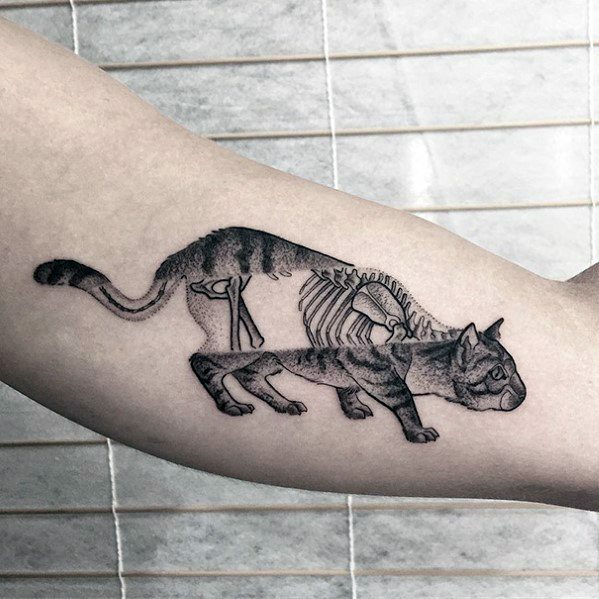 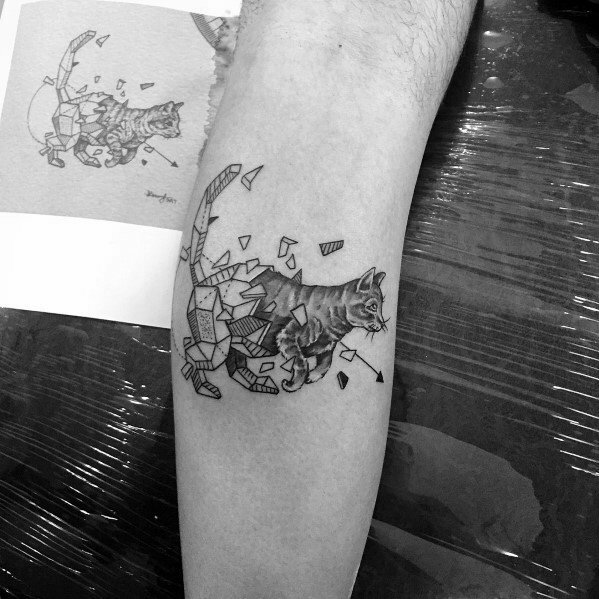 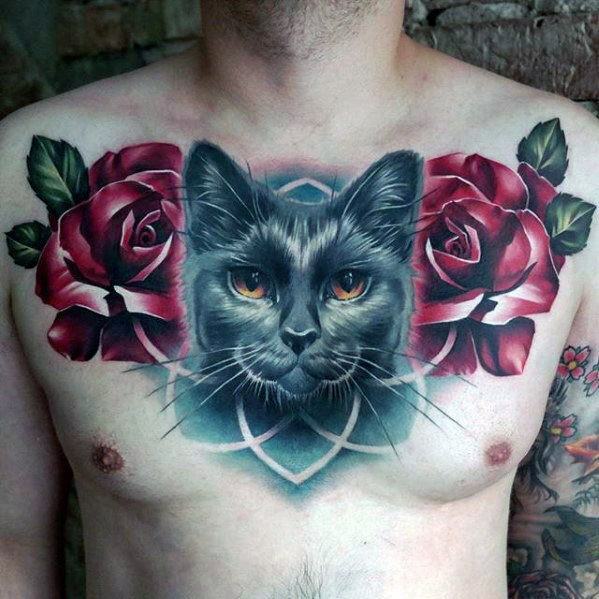 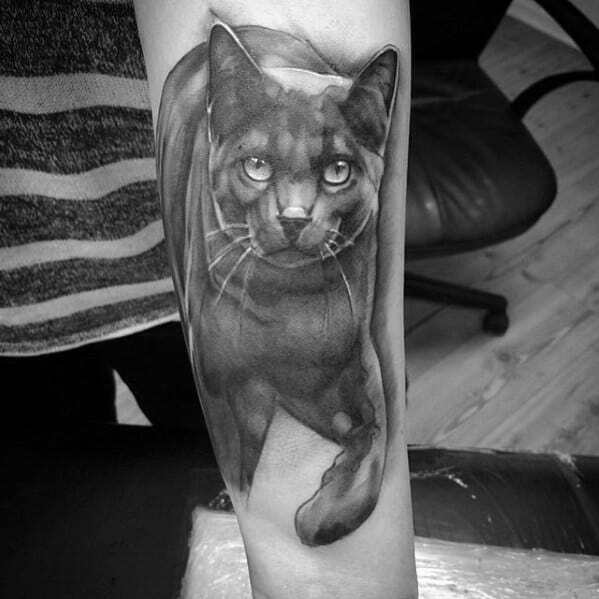 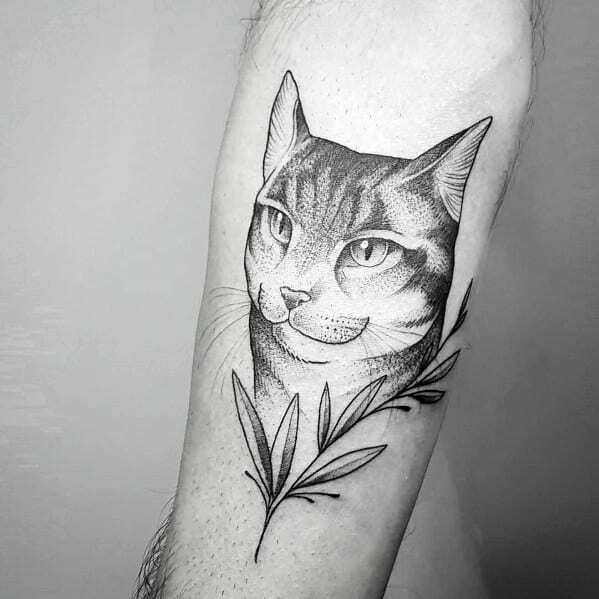 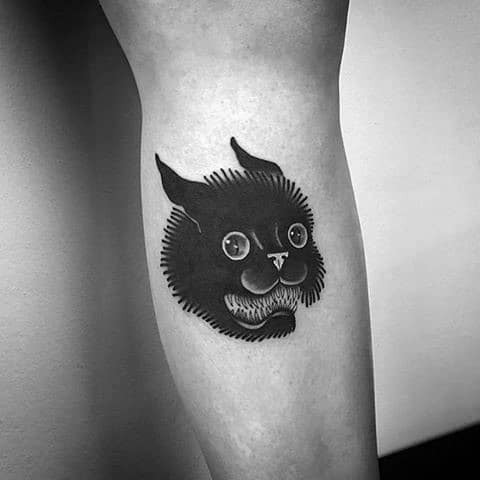 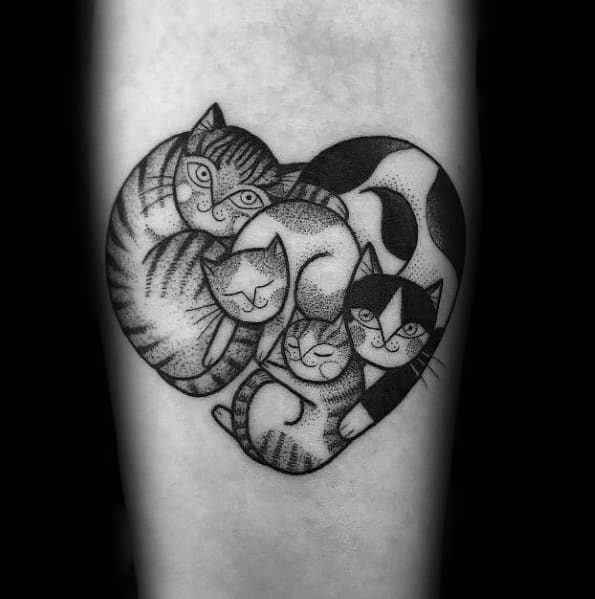 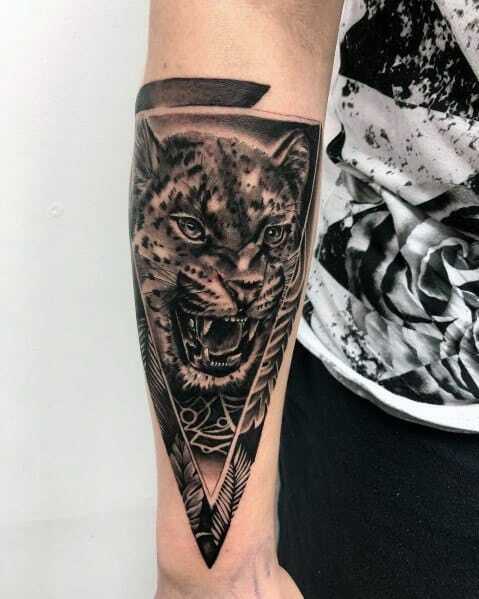 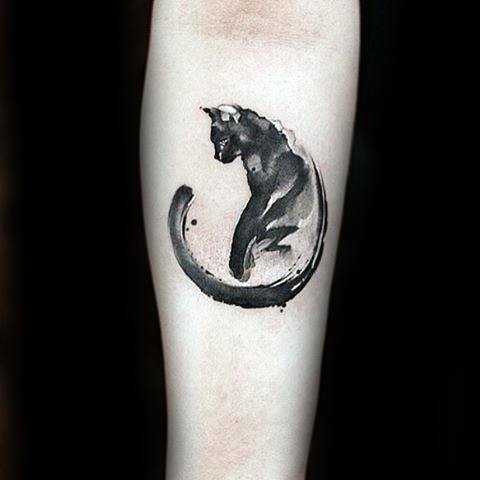 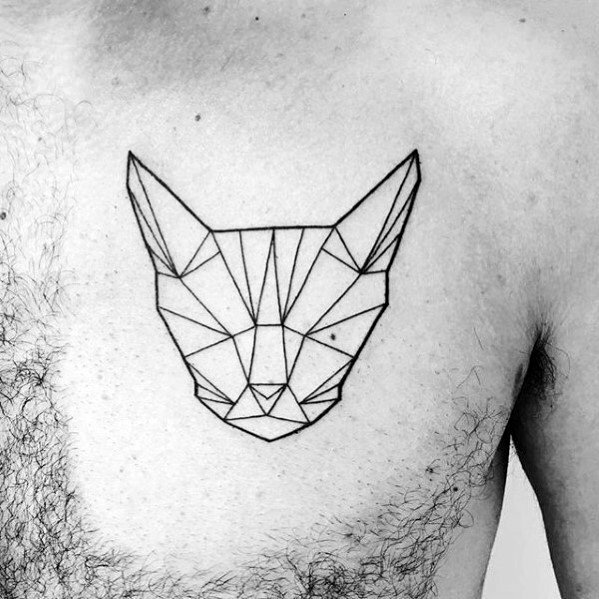 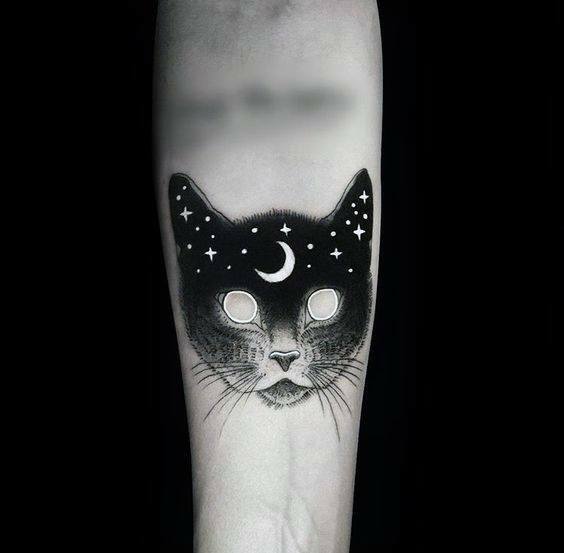 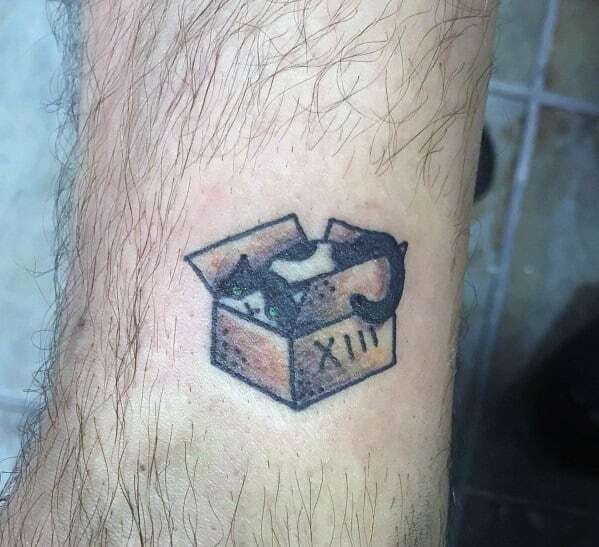 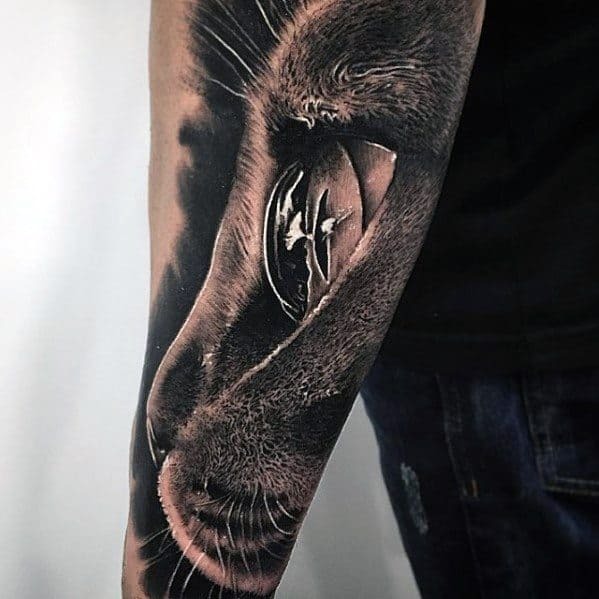 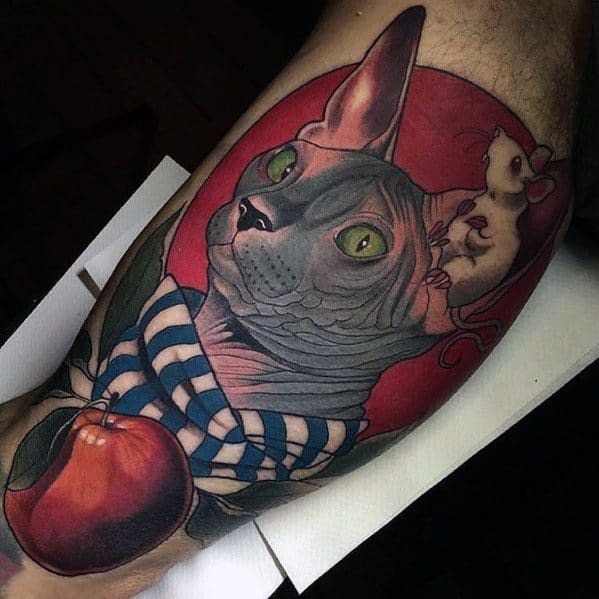 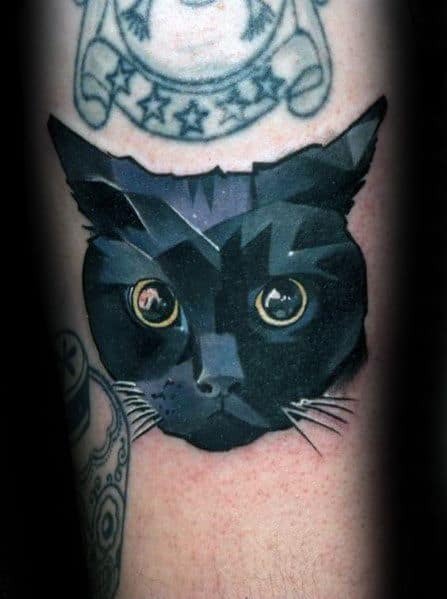 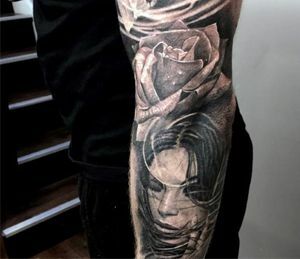 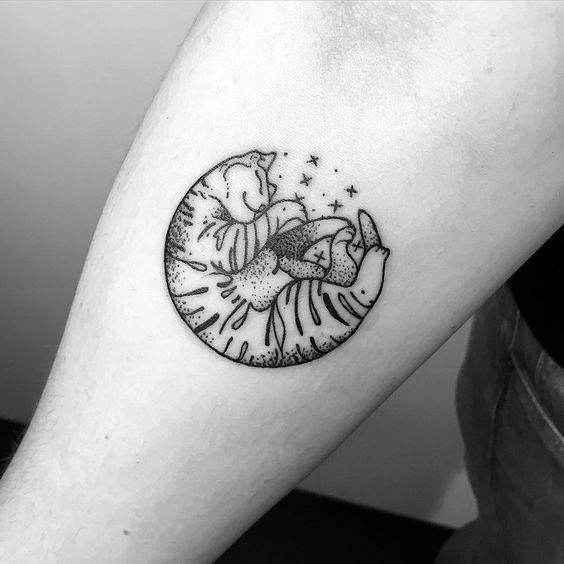 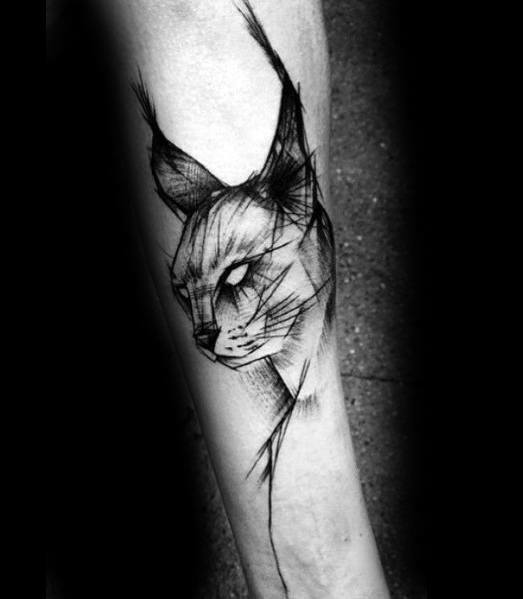 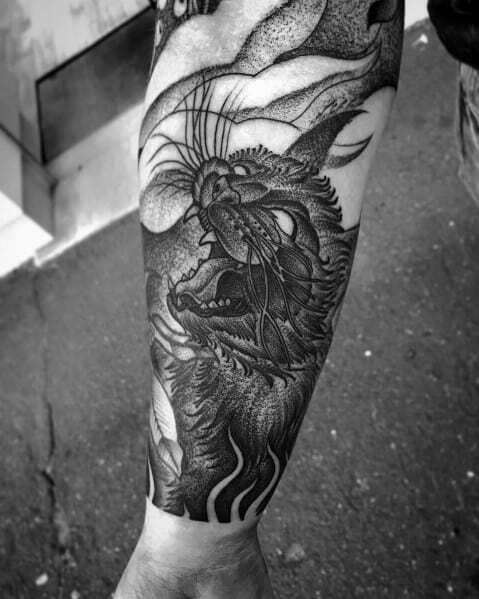 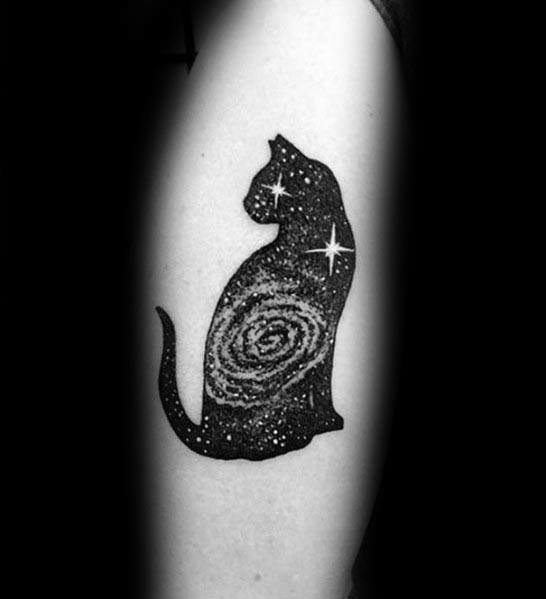 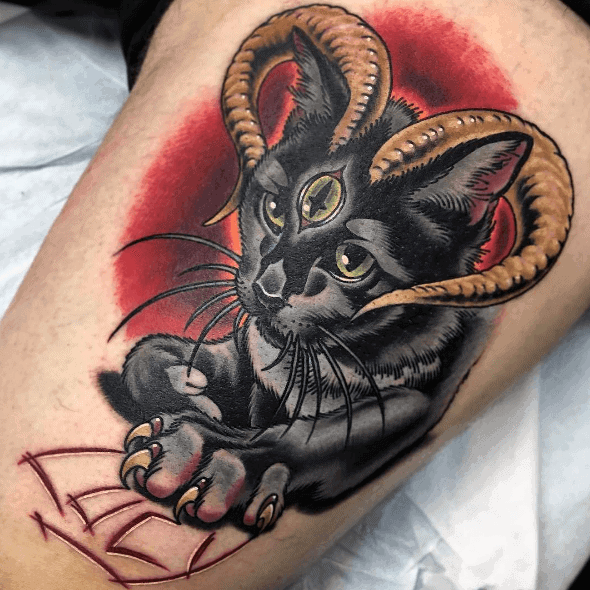 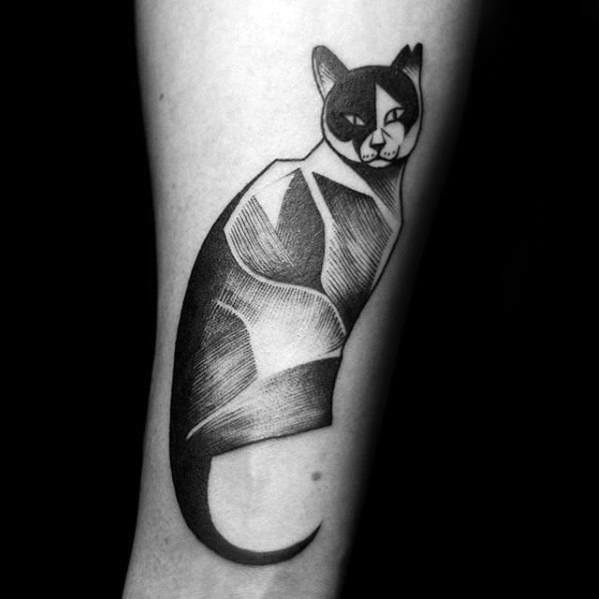 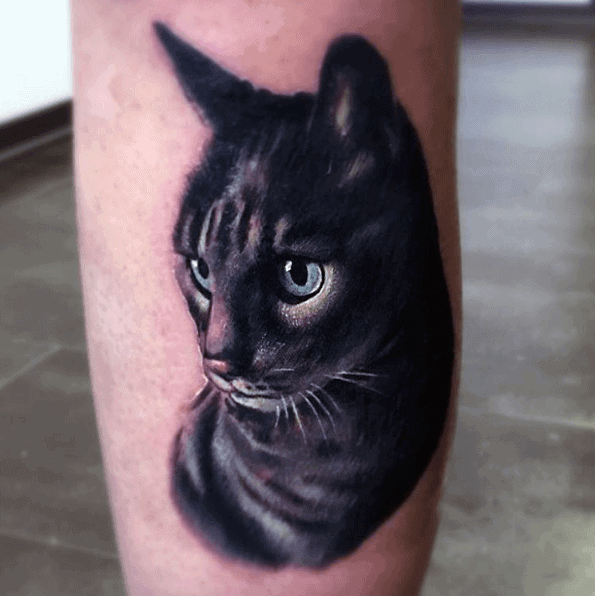 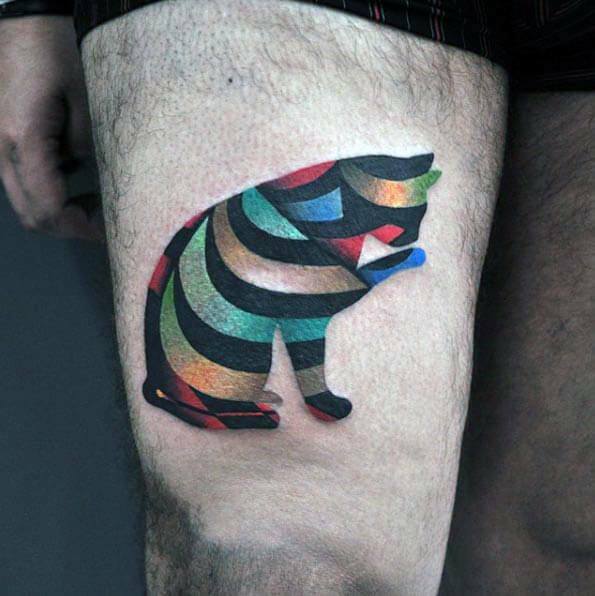 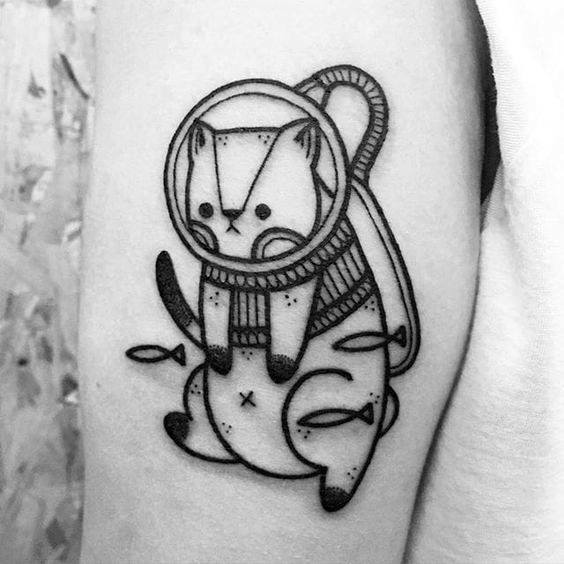 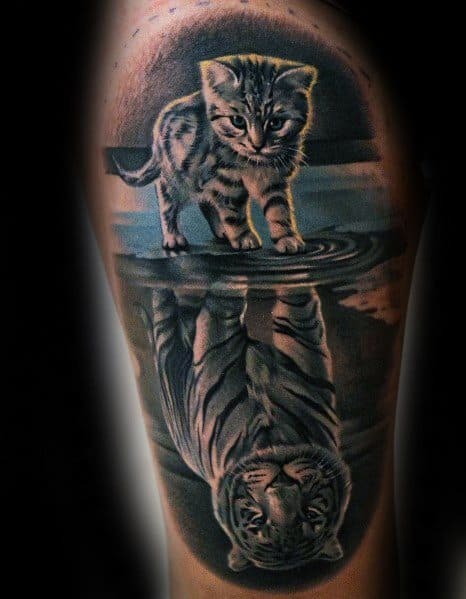 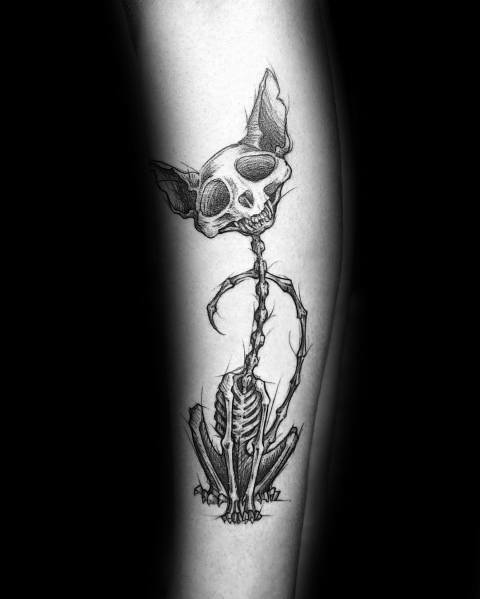 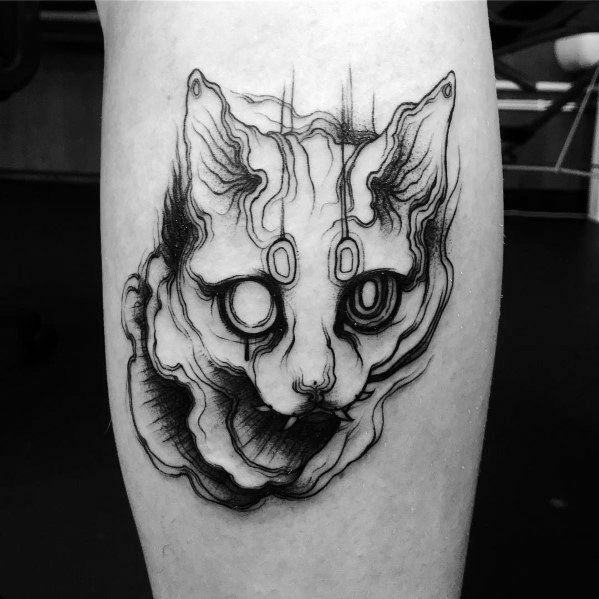 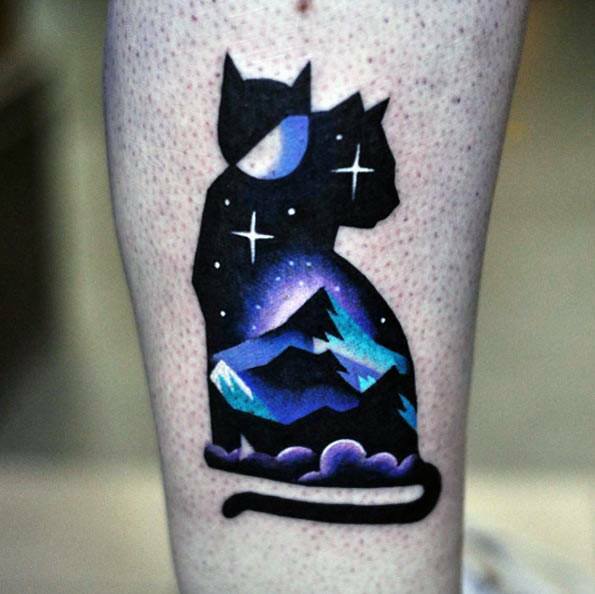 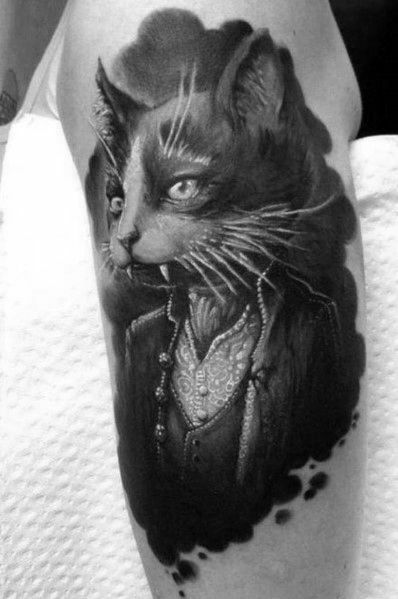 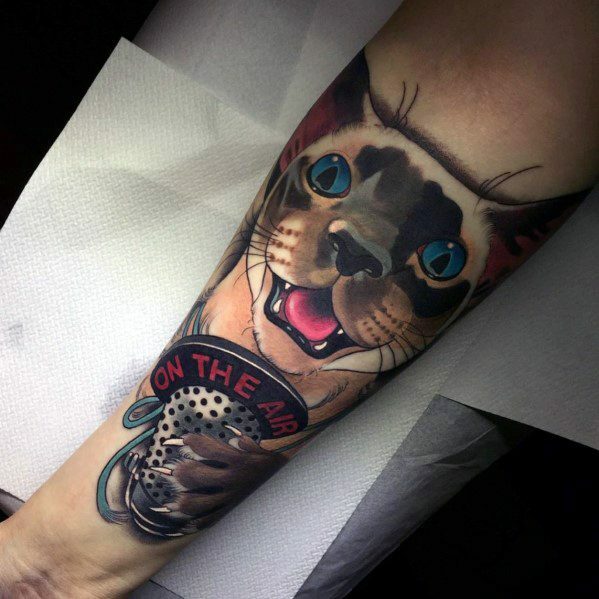 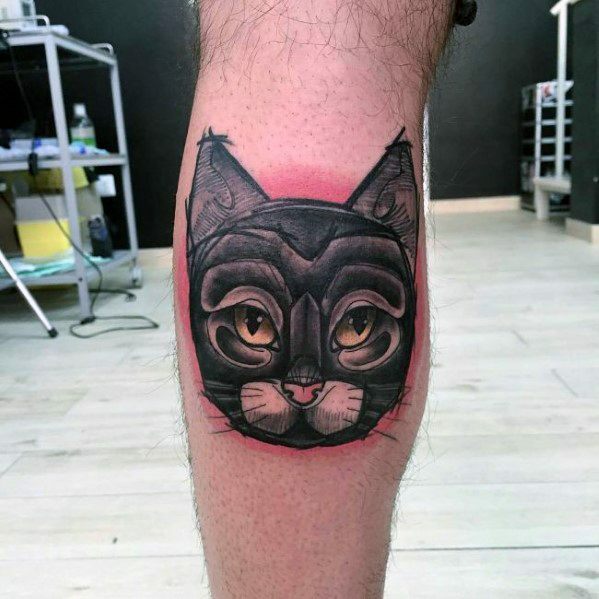 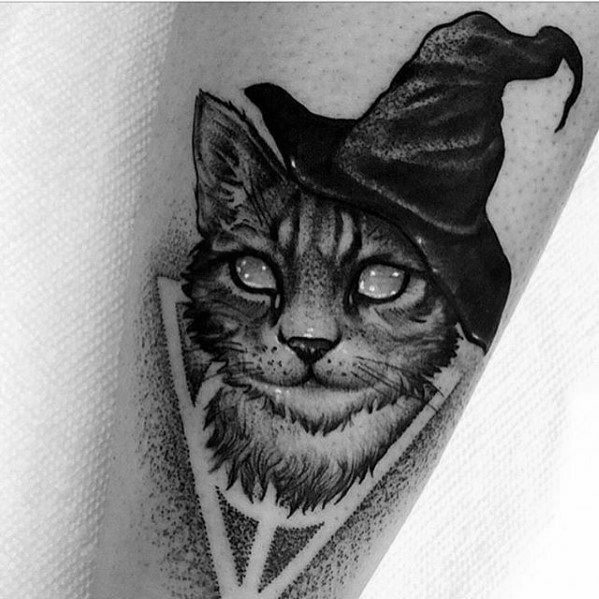 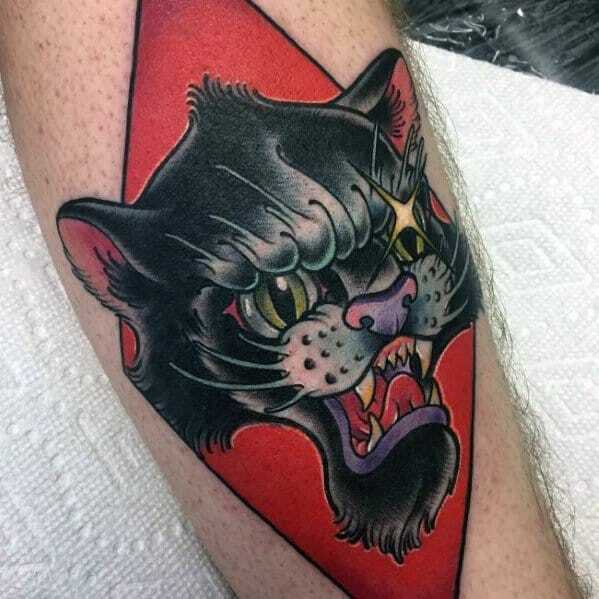 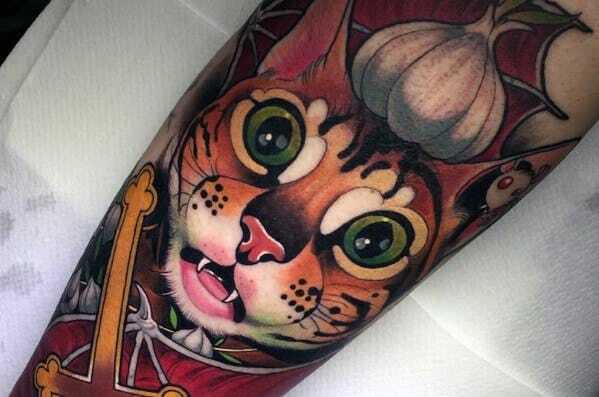 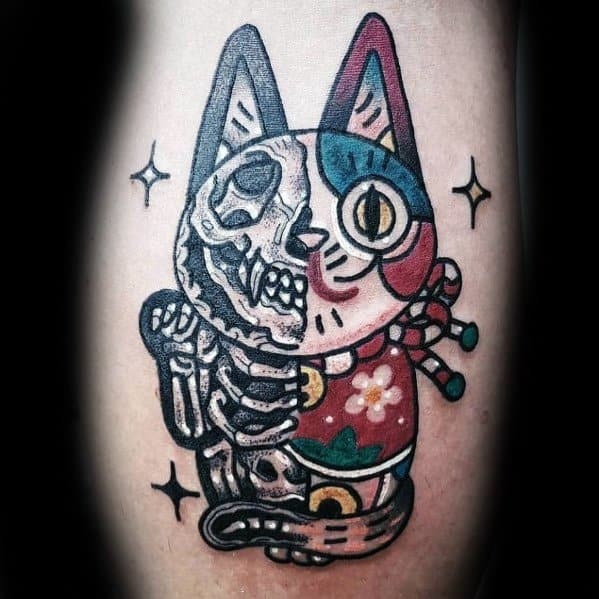 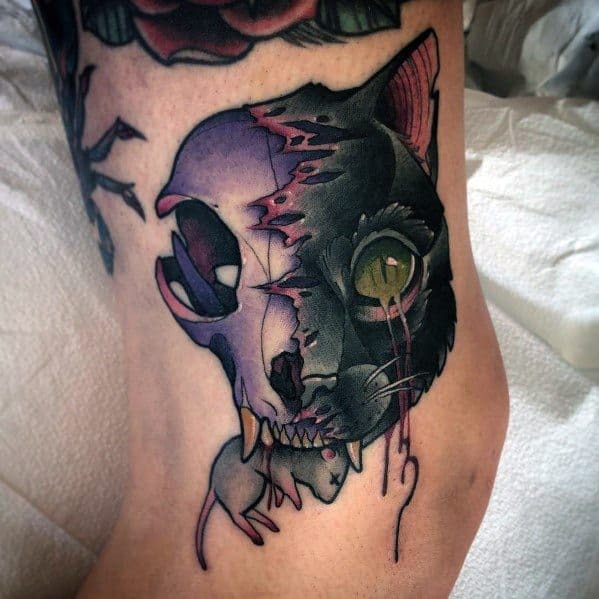 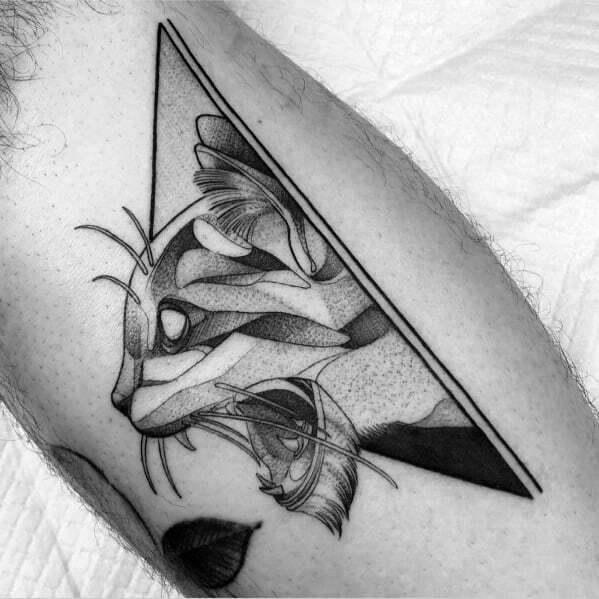 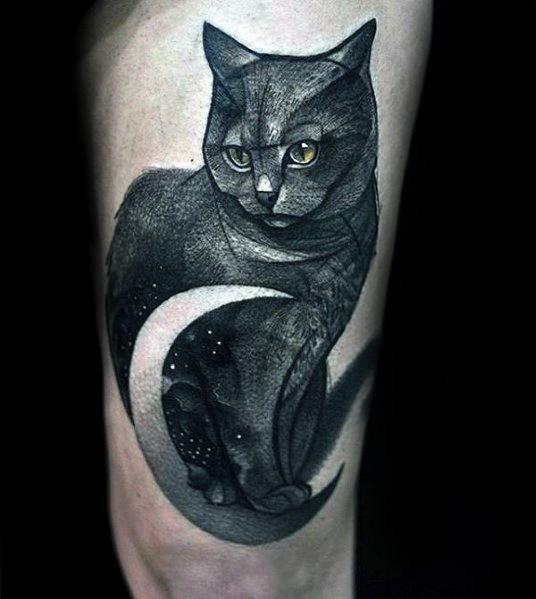 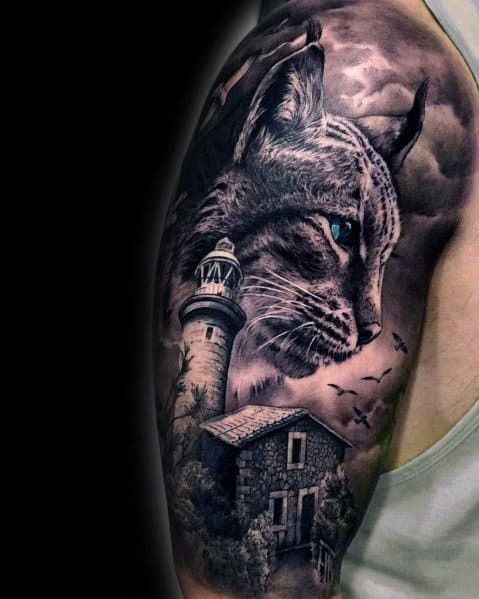 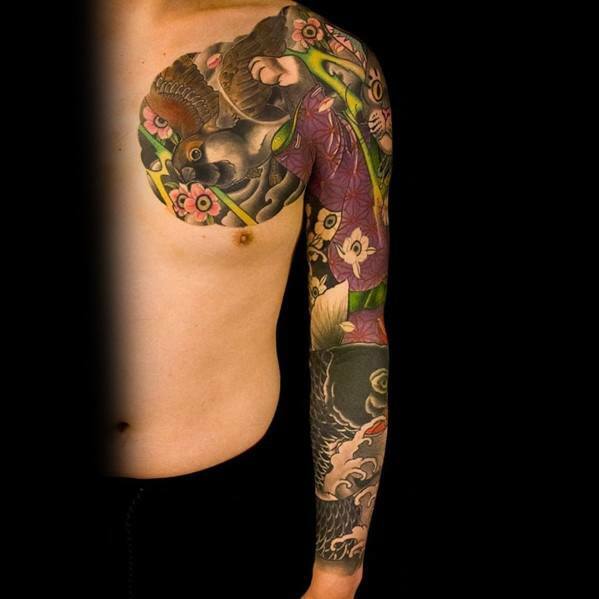 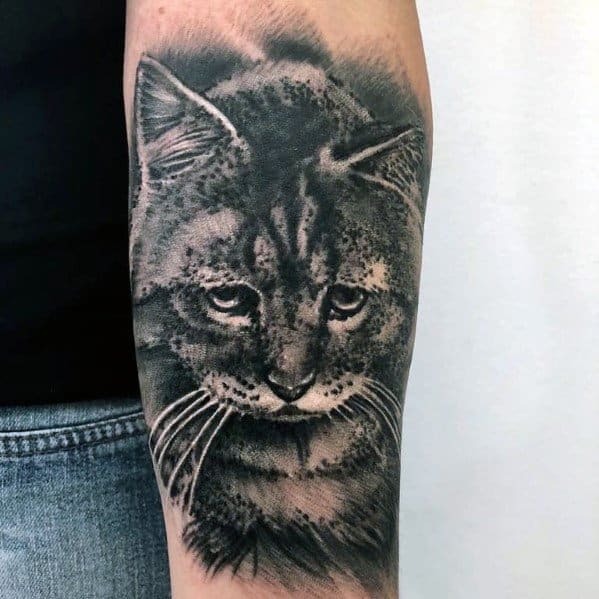 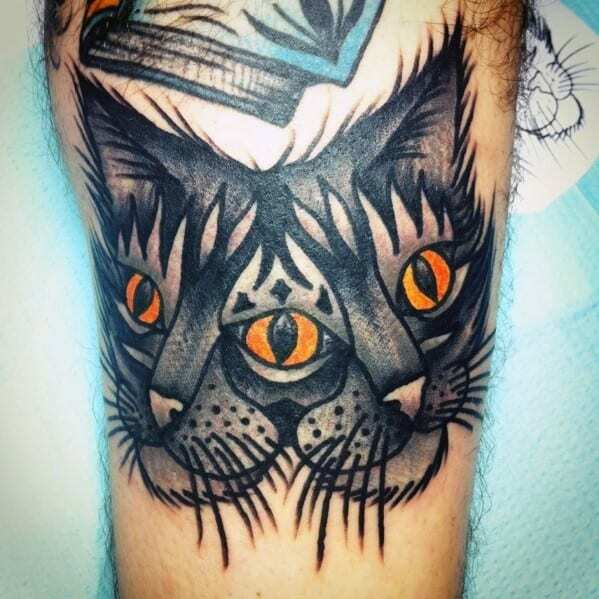 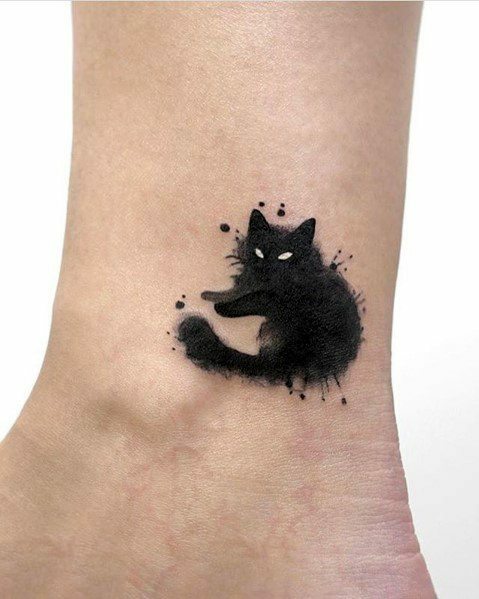 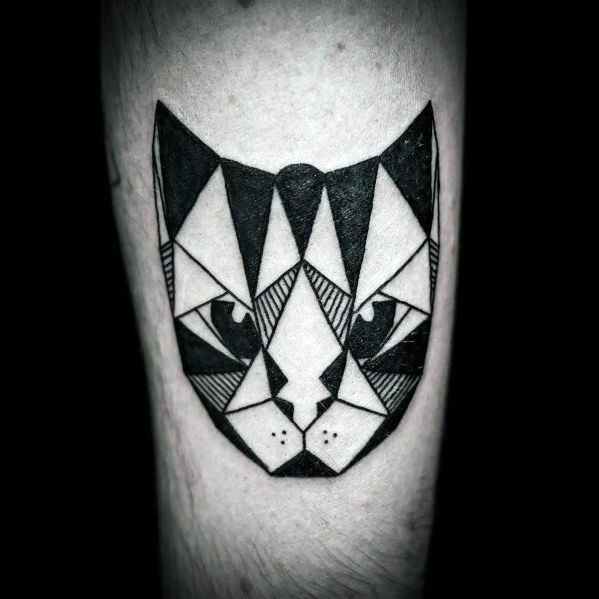 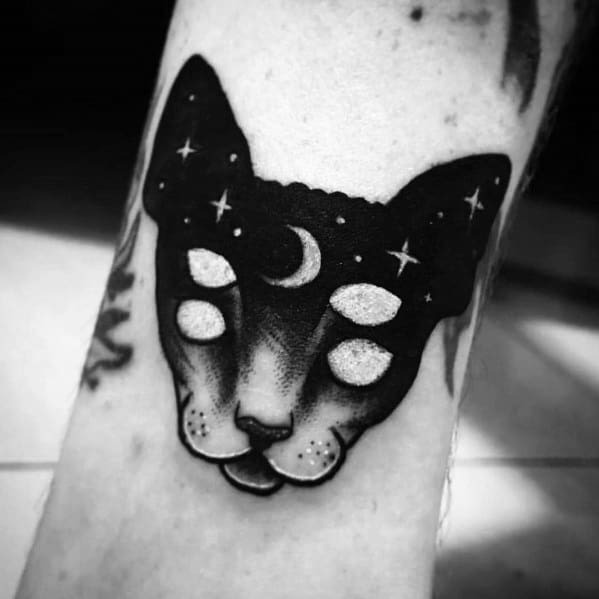 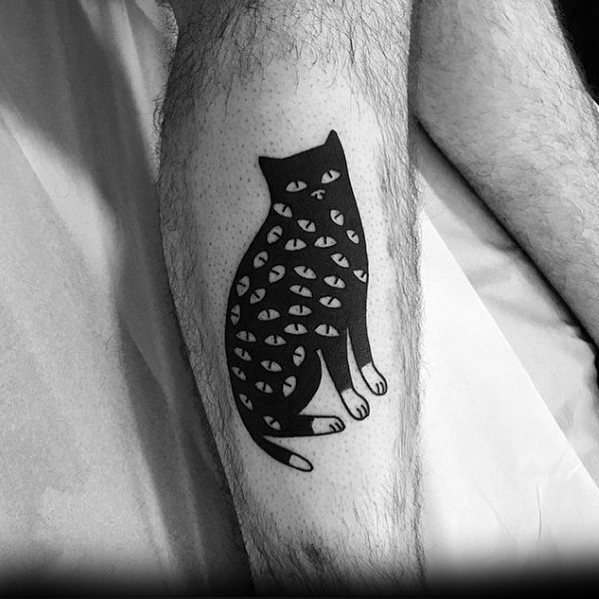 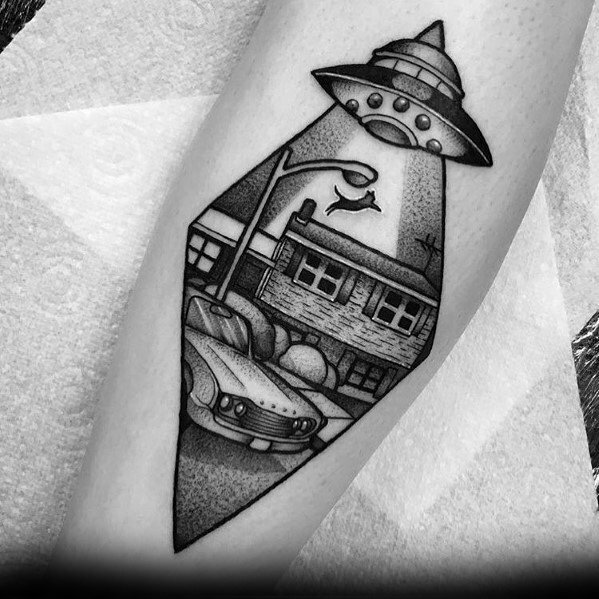 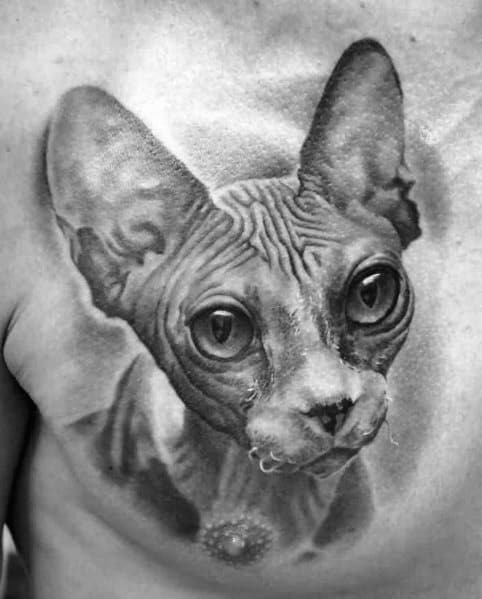 Whether you’re honoring a beloved pet or the archetype itself, a cat tattoo speaks of the rare kind of man you are. 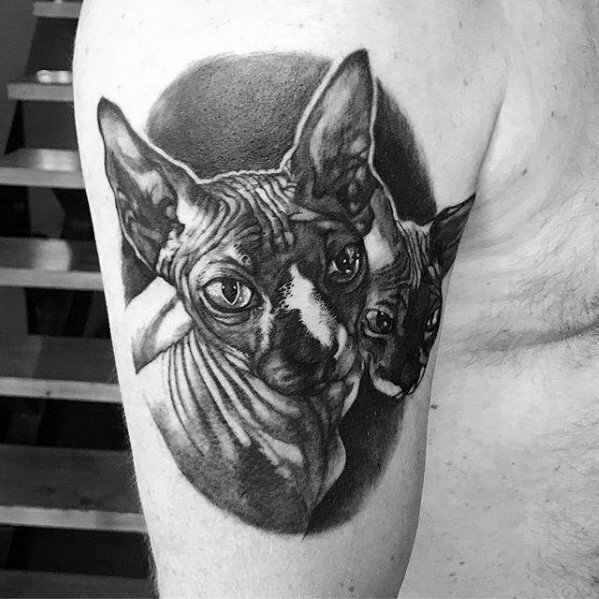 You don’t require the unquestioning loyalty and constant enthusiasm of, say, a dog, nor do you require similar conduct from your companions. 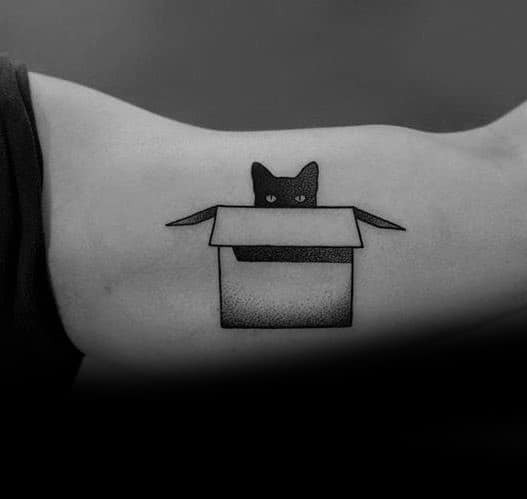 You understand the cat’s secrecy, and fierce aversion to having its space invaded; conversely, you are endlessly generous with those who have put in the work to deserve your affection. 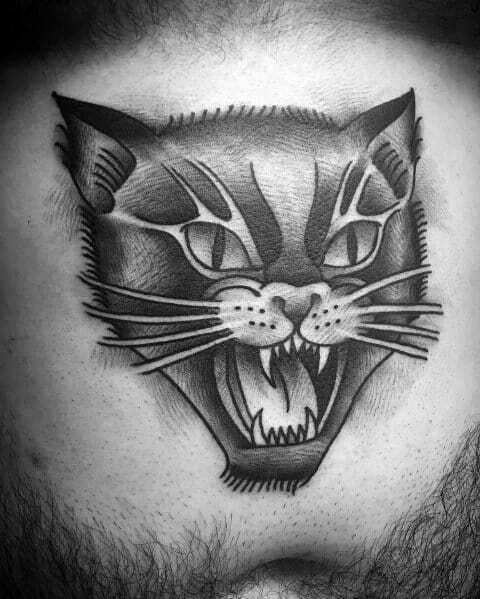 A representation of the darker aspects of the psyche, the nocturnal cat isn’t afraid to venture where others fear to follow. 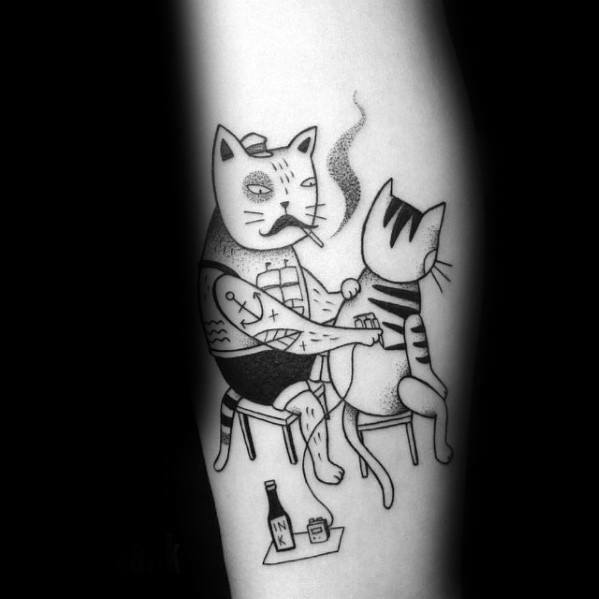 The man who welcomes the cat into his life–be it in the fur or on the skin–is an exceptional soul. 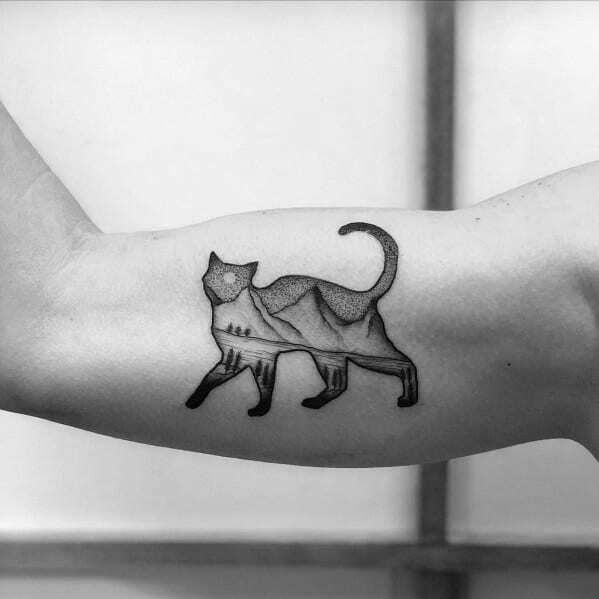 Patient and steadfast, with an ever-so-slight sarcastic glean in his eye, he takes on the world on his own terms. 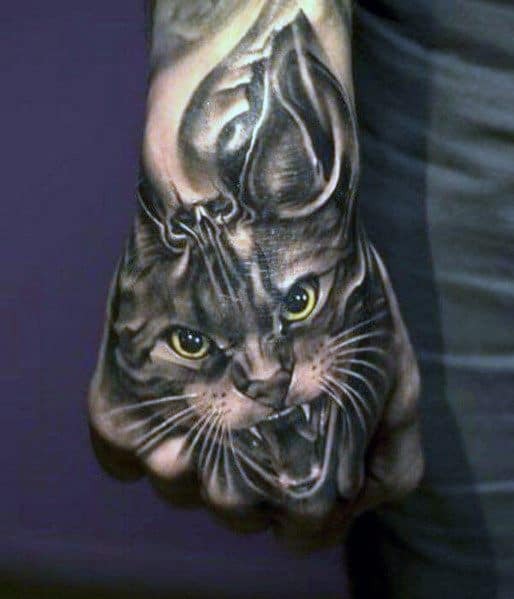 Just as the cat asks for neither permission nor forgiveness, so too does he proceed with hardly a second thought for his detractors. 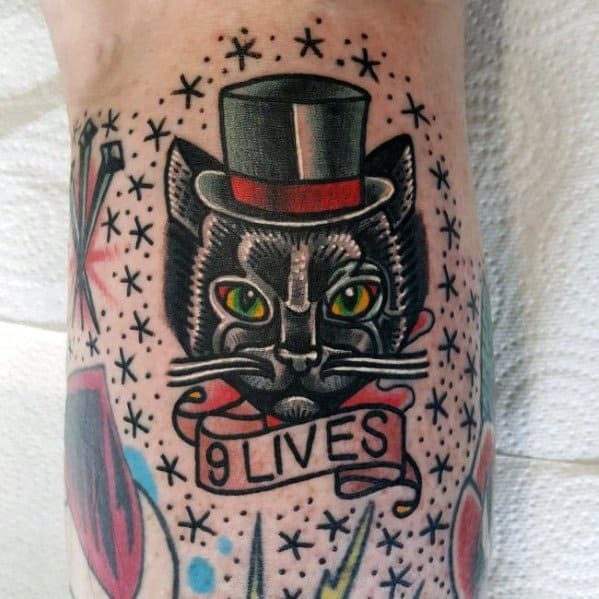 One thing is certain: once you’ve won the cat’s love, it’s for life.